Asher’s favorite pasttime as of late? 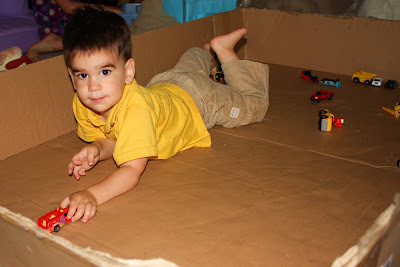 Playing cars in a big box that my new front porch bench came in (thanks mom!) He loves laying in it zooming his cars around. 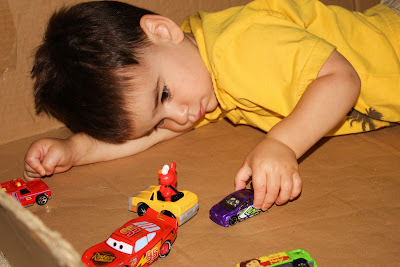 First thing he says when he wakes up is “CARS!? !” and runs to his box, even bypassing breakfast! So cute! So cute! 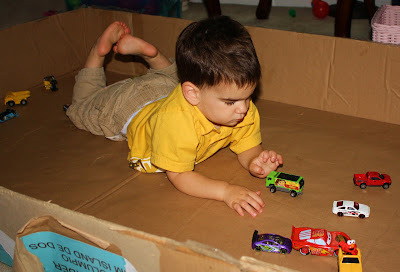 Reminds me of the way Mason was at that age–he loved those little Matchbox cars!! i love this!!!! he and braxton would have so much fun.